Born in Recife, Brazil, Susan Moura is an active violin teacher and performer. She started her violin studies through the Suzuki Method when she was 7 years old. When it was time for college, she received a scholarship to study at the USA. 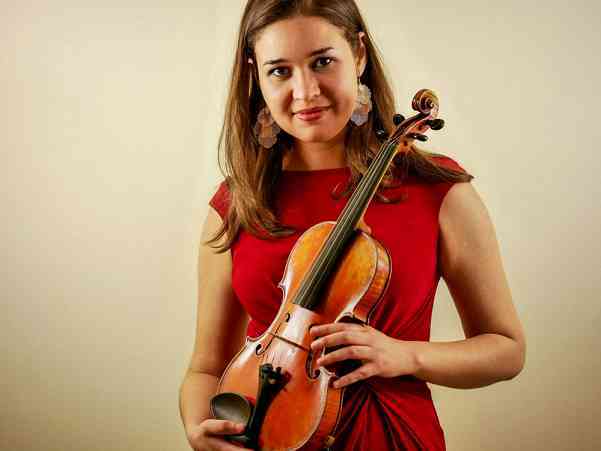 She completed a Bachelor degree in Violin Performance at University of North Texas, then a Master’s Degree also in performance at Baylor University. Following her passion for teaching and love for children, she studied at The Hartt School of Music, where she completed a Master’s degree in Suzuki Pedagogy with the teacher Teri Einfeldt. During her time as a student at the US, Ms Moura performed in professional orchestras as Abilene Philharmonic and Waco Symphony. She is now back home, living in her hometown, where she teaches at Orquestra Criança Cidadã, a successful social project that started in 2006.